Steel, Naturally-acquired Rust Patina, Hand-brushed Penetrol Oil. Originally designed for the garden, my friendly sculptural figures have also wandered into the home to welcome visitors or hold open a door. 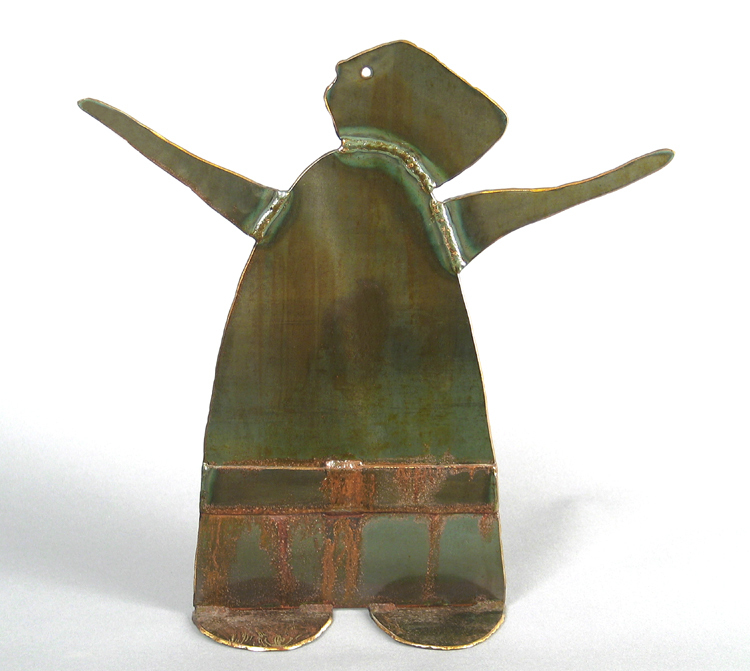 I regard these whimsical, full rounded figures as my 'Welcome Gnomes', and this one in particular is named MILLIE. Handsomely constructed from heavy steel plate. A fitting accent for the garden, home entrance, foyer, mantle, or used as a door stop, your fun-loving 'Welcome Gnome' will delight everyone! Every piece of art is signed by me. I start out by hand-cutting individual pieces from heavy 1/8" steel plate using my plasma cutter. Then I grind the rough edges and assemble the pieces together using my tig welder. 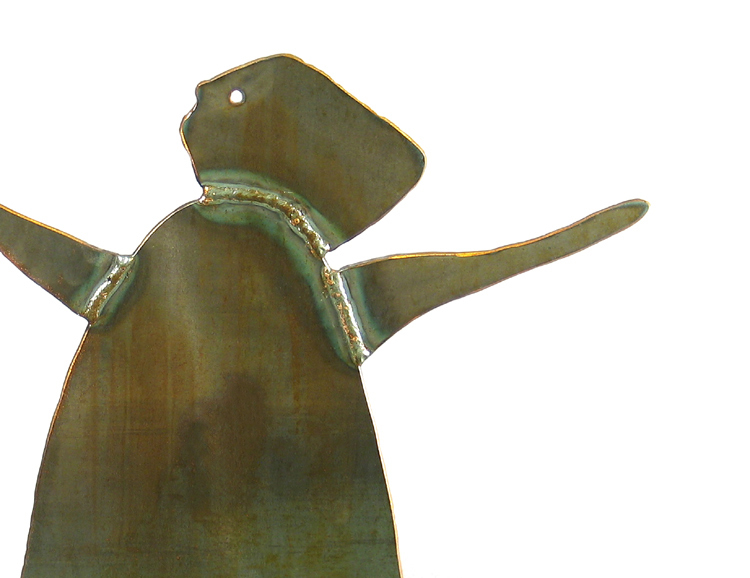 The fabricated piece is then cleaned with salt & vinegar to start the metal oxidation process, and then placed outside exposed to the elementsto develop its unique, naturally-acquired rust patina. After several days of oxidation, I wash and clean the piece with water, let it dry, and then hand-brush two coats of Penetrol - a metal sealing oil that dries hard to a rich glossy finish. Please ask me about personalizing this item - like your name, or a special message (1-2 lines only - limited lettering space) on the waist belt. This would be a special order request, available for a small additional charge of $25. Please allow 10 - 14 days for fabrication.